Different provinces have different rules and regulations. 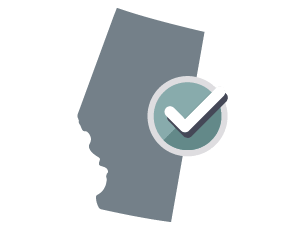 Your Hold-Harmless (Indemnity) Agreement will be customized for Alberta. The Supreme Court of Nevada concluded that a general contractor (the "Indemnitee") may be indemnified by the sub-contractor (the "Indemnifier") where the sole cause of the claim was the negligence of the general contractor, but only if the contract specifically stated this duty. Unless this obligation is specifically stated, the duty of the sub-contractor is limited to those claims that are directly attributable to the sub-contractor’s scope of work and does not include defending against claims arising from the general contractor’s own negligence. This Hold-Harmless (Indemnity) Agreement does not specifically state that the general contractor is indemnified against claims arising from the general contractor’s own negligence. Which province/territory should I choose?Normally, the province/territory is the place in which the parties to the agreement reside or where the property is located or the service is performed. Where legislation is similar, the choice of jurisdiction may not make a difference but in some cases there may be advantages to choosing one jurisdiction over another.What is the difference between a Hold-Harmless and an Indemnity Agreement?A Hold-Harmless Agreement is legally known as an Indemnity Agreement. The Indemnitee desires protection against any personal liability, claim, suit, action, loss, or damage that may result from the Indemnitee's participation in the Activity. The Indemnifier wishes to minimize any hardship the Indemnitee might suffer as the result of any personal liability, claim, suit, action, loss, or damage that may result from the Indemnitee's participation in the Activity. "Expenses" means all costs incurred in the defense of any claim or action brought against the Indemnitee including lawyers' fees. "Notice of Claim" means a notice that has been provided by the Indemnitee to the Indemnifier describing a claim or action that has or is being brought against the Indemnitee by a Third Party. "Notice of Indemnity" means a notice that has been provided by the Indemnitee to the Indemnifier describing an amount owing under this Agreement by the Indemnifier to the Indemnitee. "Parties" means both the Indemnitee and the Indemnifier. "Party" means either the Indemnitee or the Indemnifier. "Third Party" means any person other than the Indemnifier and the Indemnitee. The Indemnifier will hold harmless and indemnify the Indemnitee against any and all claims and actions arising out of the participation of the Indemnitee in the Activity, including, without limitation, Expenses, judgments, fines, settlements and other amounts actually and reasonably incurred in connection with any liability, suit, action, loss, or damage arising or resulting from the Indemnitee's participation in the Activity, subject to the limits on indemnification described in the section titled Exceptions to Indemnification. Where prohibited by law, the above indemnification does not include indemnification of the Indemnitee against a claim caused by the negligence or fault of the Indemnitee, its agent or employee, or any third party under the control or supervision of the Indemnitee, other than the Indemnifier or its agent, employee or subcontractors. In the case of a criminal proceeding, the Indemnitee will not be indemnified by the Indemnifier. The termination of any claim or action by judgment, order, settlement, conviction or upon a plea of nolo contendere or its equivalent will not, of itself, create a presumption that the person did not act in good faith and in a reasonable manner. The Indemnitee agrees to cooperate in good faith and provide any and all information within the Indemnitee's power as required for the defense of any claim or action and also to provide any and all information within the Indemnitee's power as required to help in a determination of indemnification as described under the Authorization of Indemnification section. No costs, charges or Expenses for which indemnity will be sought under this Agreement may be incurred without the Indemnifier's written consent. Any required consent must not be unreasonably withheld. At the written request of the Indemnitee, the Indemnifier will advance to the Indemnitee any Expenses, including lawyers' fees, incurred by the Indemnitee in defending any action brought against the Indemnitee. Where reasonable, and to minimize hardship to the Indemnitee, advance payments may be made prior to the disposition of any claim. The Indemnitee agrees to repay to the Indemnifier any advance payments on Expenses where a determination is ultimately made that the Indemnitee is not entitled to indemnification for reasons described under the Indemnification and the Exceptions to Indemnification sections. Where a determination as described under Authorization of Indemnification concludes that the Indemnitee's behaviour is not entitled to indemnification, this will not create a presumption that the Indemnitee is not entitled to indemnification under this Agreement. This Agreement will be governed by and construed in accordance with the laws of the Province of Alberta. The courts of the Province of Alberta are to have jurisdiction to decide and settle any dispute or claim arising out of or in connection with this Agreement. IN WITNESS WHEREOF the Indemnitee and the Indemnifier have duly affixed their signatures under hand and seal on this 18th day of April, 2019. An Indemnity Agreement is a document that removes liability from one party in a business relationship. Who are the parties in an Indemnity Agreement? There are two main parties in an Indemnity Agreement, but there can be more than one of each. Indemnitee: The indemnitee, which may be either an individual or a corporation, is the party that requires protection. This means that they are the party whose liability will be removed with the agreement. You may only have multiple indemnitees if they are acting together, such as a husband and wife. Indemnifier: An indemnifier in a hold harmless agreement, which may also be an individual or corporation, is the party who is providing protection. This means that they are removing liability from the indemnitee. When there are two or more indemnifiers they are held jointly liable for any claims. For example, if a business was holding a community event on private property, the owners of the property would not want to be held responsible for any injuries, accidents, or other claims in relation to the event. That would make the property owner the indemnitee, and the company running the event the indemnifier. Essentially, the company would agree to take responsibility for any injuries or harm that arose during the event on private property as opposed to the property owners. Is there more than one type of Indemnity Agreement? It is also recommended that you provide a detailed description of what the indemnification is for, how long it will last, and who is involved. What are the terms in an Indemnity Agreement? Indemnity insurance: You may require that the indemnifier (the party offering protection) purchase indemnity insurance to cover any future liabilities. Indemnification against criminal proceedings: You can stipulate that the indemnifier cannot pursue legal action. Confidentiality clause: A confidentiality clause ensures no private information in relation to the contract or the indemnification is shared with outside parties. Monetary limit: You may set a maximum amount for the indemnification.